Based on the data of 204 countries, below is a breakdown of the number of countries that fall within each of the 4 income groups listed above. Take a look at the breakdown of income from the 11 countries labeled above. 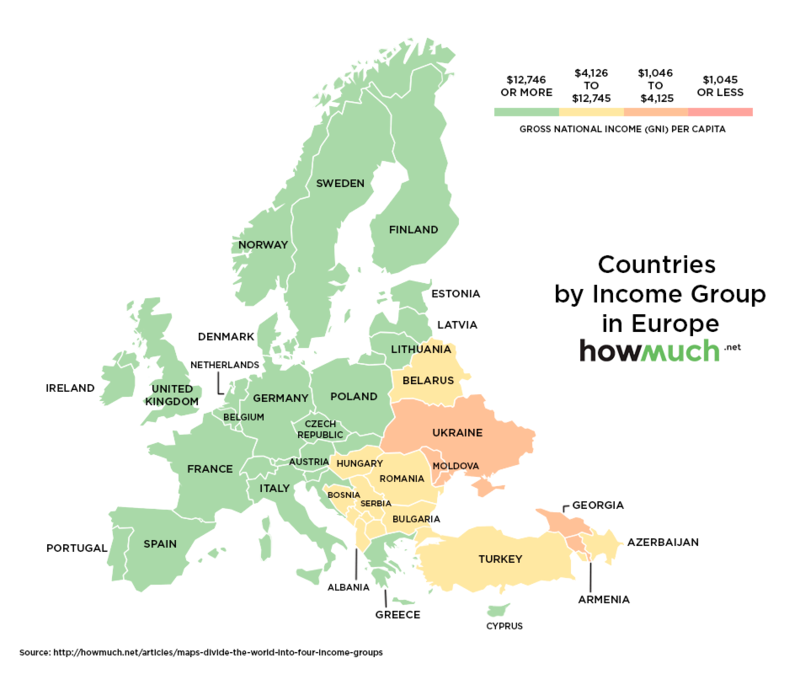 Take a look at the breakdown of income from the 19 countries labeled above. Take a look at the breakdown of income from the 34 countries labeled above. Take a look at the breakdown of income from the 28 countries labeled above. 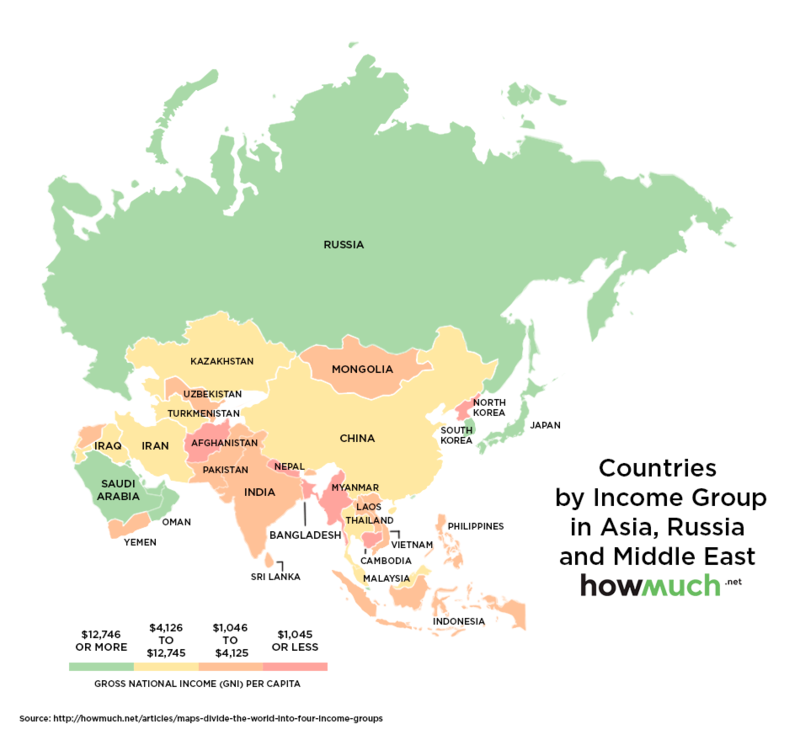 Take a look at the breakdown of income from the 42 countries labeled above. 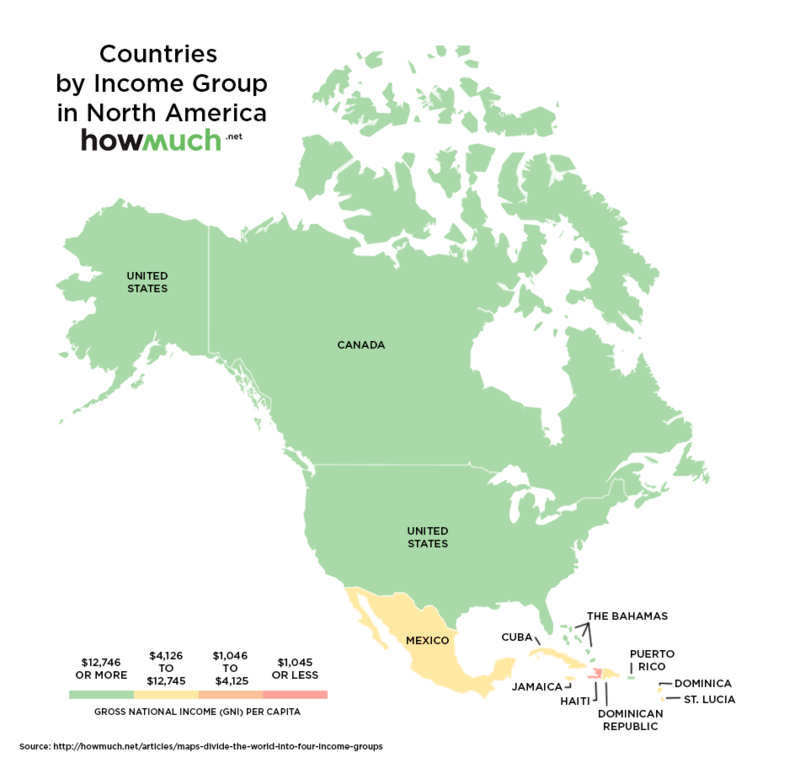 Take a look at the breakdown of income from the 8 countries labeled above. The data shows that of the 204 countries, 66 countries (33%) are considered to have “high income” on a GNI per capita basis. Of these 66 countries, 32 are located in Europe! 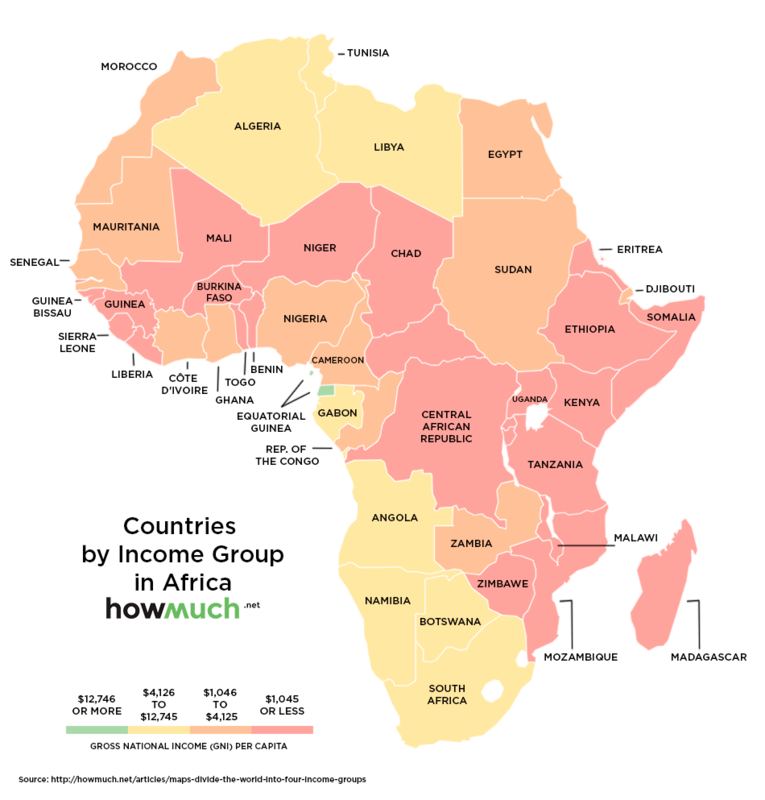 On the other hand, 34 countries (17%) are considered to have “low income” on a GNI per capita basis and of these 34 countries, 26 countries are in Africa. This represents over 76% of low income countries in one continent! 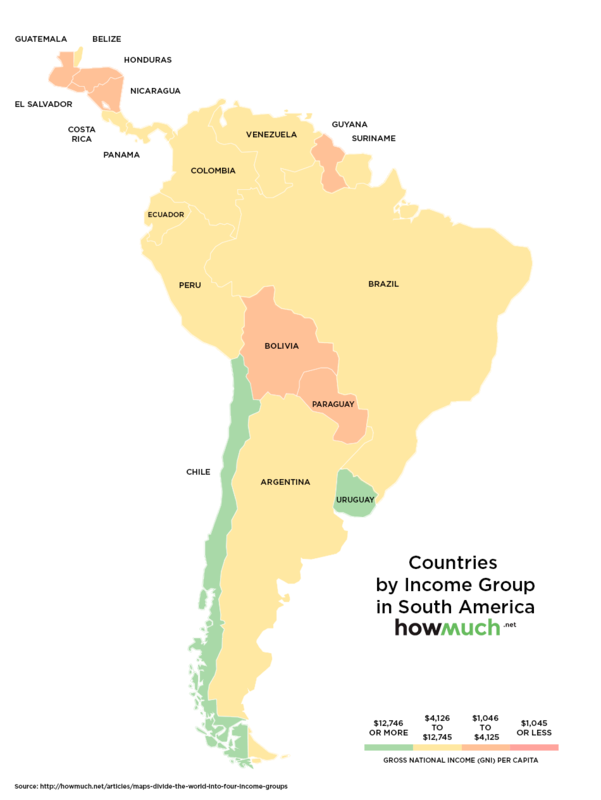 As a matter of fact, Europe, Central and South America, and Oceania do not have any countries that fall within the “low income” group. 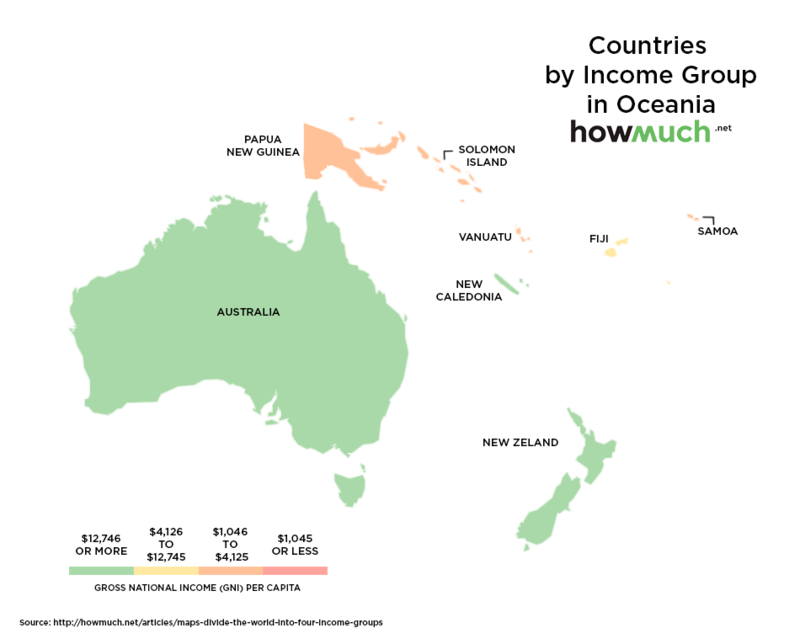 As seen by the maps and data, countries within similar income groups (both high and low) tend to be located close to one another.